Due to the extremely positive reception of this textbook, it is now being published in its 5 th edition. The book provides an introduction to the key ideas and elements of probability theory and statistics. Stochastic concepts, models, and methods are highlighted through typical application examples, then analyzed theoretically and systematically explored. Hans-Otto Georgii , LMU München. Due to the extremely positive reception of this textbook, it is now being published in its 5th edition. The book provides an introduction to the key ideas and elements of probability theory and statistics. 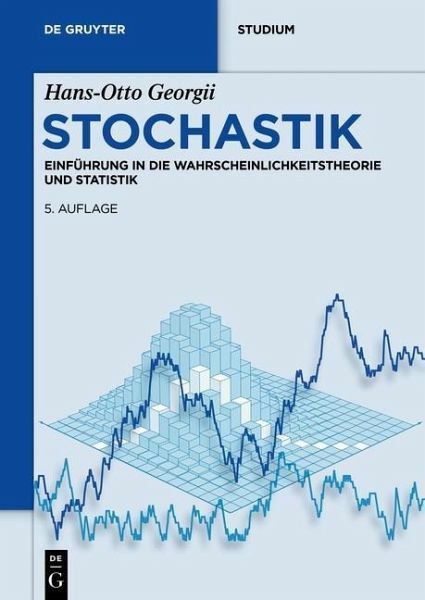 Stochastic concepts, models, and methods are highlighted through typical application examples, then analyzed theoretically and systematically explored.